Counseling starts at $11.53/wk with a monthly membership, PLUS access to Penny via forums and online groups and DISCOUNTS on Individual and Small Group sessions. Members have access to this series of ebooks that take you from living by your emotions to surrendered to God. Members access courses on depression, codependency, hopelessness and more. 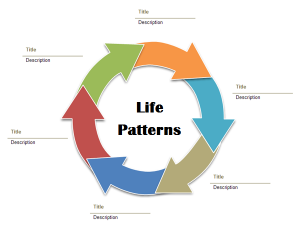 New courses are added monthly. I know first hand how it feels to be lost in depression for years, trapped in my house with panic attacks, tormented by memories of past traumas, and prisoner of an eating disorder. I know what it is like to have a horrible marriage, to feel unloved and unwanted, and the shame of turning to another man for comfort. I know what it is like to want to please and live for God, but be unable to fulfill God’s call on my life because of hidden sin, guilt and shame. But I also know what it is like to be free. Now I help Christians gain control over their emotions and actions so they can fulfill God’s purpose for their lives. Let me share my story with you. 99% of clients experience a DRAMATIC REDUCTION IN STRESS in their FIRST session! What I’ve been doing has really transformed my thinking and the way I’m able to work my business!! I’m so excited I had to stop and share with you. I’ve been talking to myself like you told me to do until that little, scared girl is almost mute at this point. I’m doing bold things and encouraging others to start thinking the same way and it’s changing their lives too! I have had 2 sessions with Penny. I tried counseling several times over the last several years. My Drs. prescribed meds and more therapy. The anxiety and depression along with the stress level in my life was unbearable. I had just about given up. Nothing was going to work. I knew it. My husband sent me a link to Penny’s site. For 30 days I thought about it convinced this would be another waste of my time. But I knew I had nothing left. No where to go. I prayed and made my appointment. In the first 15 minutes I was breathing easier. In one hour I saw some things in a completely different light. She opened with prayer and ended in prayer. I felt lifted up. For the first time in a long time my life felt better. I could actually see things in a more positive light. I did my homework and my life changed for the better. As I continued praying and working on my issues more things kept beating me down. I knew that it was oppression. Someone was taking me down with bad memories and self worth issues. 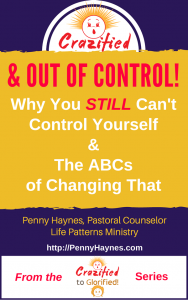 I attended Penny’s webinar on shame. This session gave me insight to some of my self worth issues. I found some more ground I was gaining. I reviewed an e book Penny let me read and I clearly saw how my past was tangling up and tying me down. It had a choke hold on me. I arranged another session with Penny and we started unraveling the spider web that had me trapped. I am sure that as I continue to do my homework and apply the tools Penny has shared with me I will continue to overcome these struggles. I cannot thank Penny enough and I am grateful God put her in my life. I would never have believed this possible. I highly encourage anyone that has tried it all to pray and open themselves for Penny’s help. 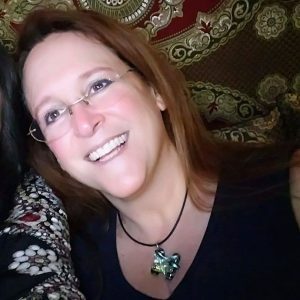 Reading Penny Haynes' writings on codependency and ungodly responses to pain has helped me to go deeper in my healing from codependency and from verbal, financial and abandonment abuse. It's one thing to do a surface study of these issues, and another to dig deep and look for what is the source of pain, and figure out how to let God bring healing in. When I heard her speak at our Celebrate Recovery, I knew instantly that we were talking about healing on a much deeper level. I get so many paradigm shifts when I read her writing or hear her speak -- it is just truth being brought to the light. “I’ve known Penny since 1998, when I first attended World Harvest Church where she was involved in ministry. I attended several groups that she has led; i.e., Singles Ministry, Celebrate Recovery Small Group, Large Group, one on one bible study, and one on one ministry. “I started attending a ladies’ step study through Celebrate Recovery that Penny was facilitating and went on to do another study with her as the facilitator and eventually my sponsor. From day one, she helped create an atmosphere of unconditional love and acceptance for me and every lady attending. 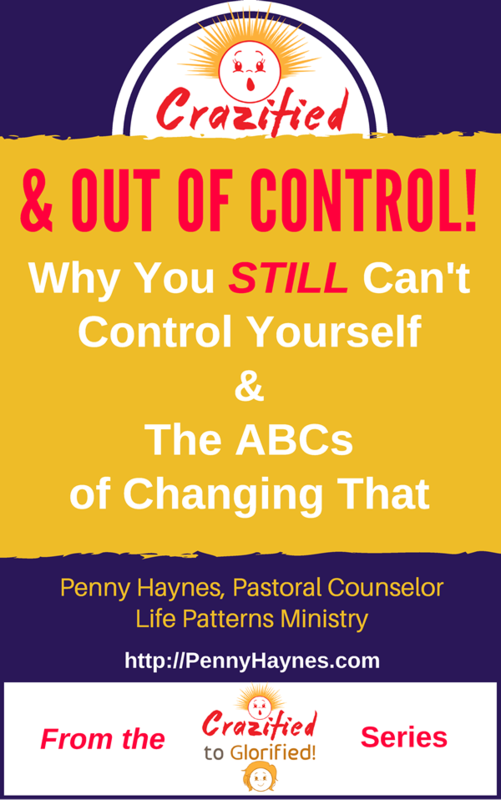 I shared things I hadn’t shared before, and found myself able by God’s grace and the help of Penny and the other ladies in the group to obey God in several key areas of my life. As the weeks went on, I got more and more excited about attending the group and found myself less depressed and no longer isolating at home. I got much closer to God and developed several friendships. Penny is extremely gifted, intuitive and loving. She offered such brilliant insights to me and others as I witnessed her in groups. She clearly loves people, loves what she does and is willing to lay her life down for the people in her life. She remains humble by always working on herself and being transparent about her continued spiritual and emotional growth and flaws. I never felt I was in my healing/recovery journey alone or that Penny was just a leader looking down from above. Decide that you are WORTH being healed. Start by joining this membership site for free.